Several writers are to collaborate on a project celebrating Scotland’s links with Europe as part of Edinburgh’s Hogmanay. Authors including Louise Welsh and William Dalrymple will pen a “love letter to Europe” which will be projected onto buildings in the Scots capital from January 1 to 25. 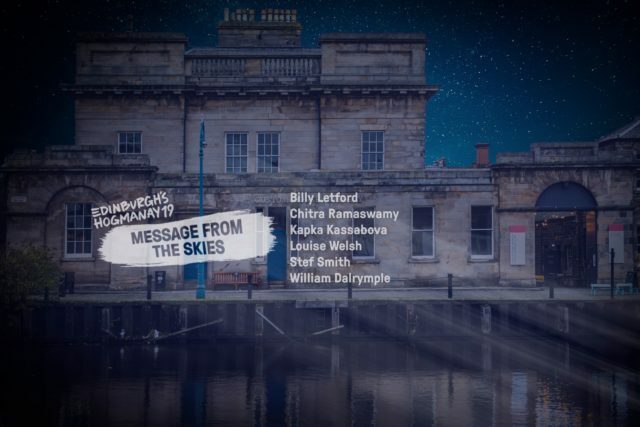 Message from the Skies 2019 is described as a “passionate celebration of Scotland’s shared cultural, historic and social connections with Europe” and comes ahead of the UK’s scheduled withdrawal from the EU on March 29. Last year’s event saw Val McDermid commissioned to write a new short story which was similarly projected onto city landmarks. Developed with Edinburgh International Book Festival and Edinburgh Unesco City of Literature, it will run from dusk until 10pm nightly, supported by Creative Scotland through the Scottish Government’s Festivals Expo Fund. Ed Bartlam and Charlie Wood, directors of Edinburgh’s Hogmanay, said: “Over 200 years ago, Burns penned the poem to Mrs Dunlop that inspired this project and wrote that ‘something in us never dies, on [our] frail uncertain state, hang matters of eternal weight’. “So it’s wonderful at the start of 2019 to invite these amazing artists to Hogmanay and ask them to collaborate with other artists and respond to this ‘matter’ and explore our ties to Europe by writing, animating and composing a love letter.